This foundation is the best budget foundation I have EVER tried. Truly brilliant. 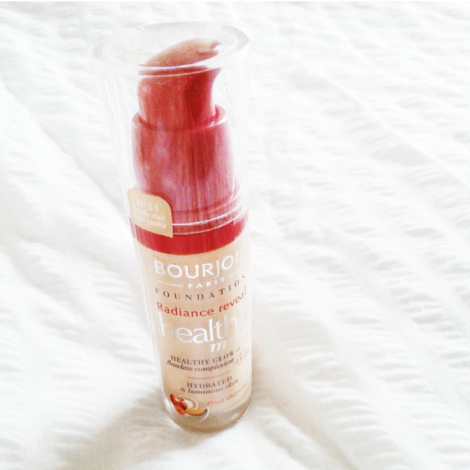 Bourjois Healthy Mix is a light and airy foundation with excellent coverage. I use the lightest shade Light Vanilla, which matches my pale complexion perfectly and tend to blend it into my skin using my Real Techniques expert face brush. I find that this way I achieve the most natural look but also the look with the most coverage. It's super long lasting and gives the skin a dewy glow, making your face look bright and 'healthy'. At the moment I am absolutely smitten with this foundation, wearing everyday above all of my higher end products. Definitely a must-have for your make up collection. I have combination skin, and I think it works nicely! But I don't think it would stay well on oilier skin types since its very light and hydrating! I have had the Healthy mix concealer and it's really amazing and I was thinking about doing a review about it next sunday and then I might buy this foundation.